Show your fellow singleton theyre not alone this valentine's day with this 'happy galentine's day' valentine's card. This funny card is the perfect way to say Happy Valentines day to your fewllow single friends! 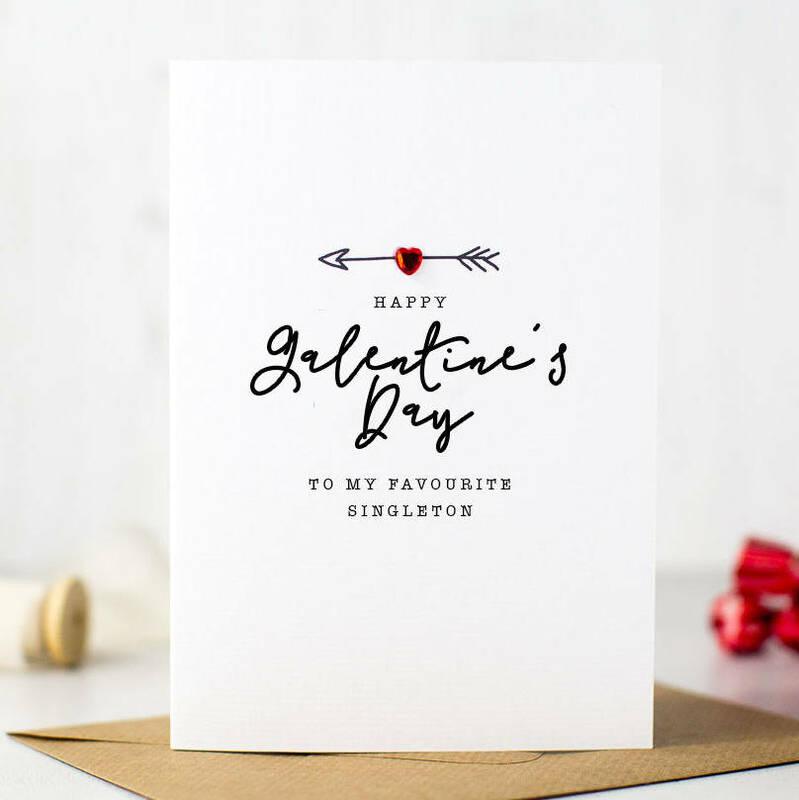 Card reads 'Happy Galentine's Day to my favourite singleton', followed by the year (2017).